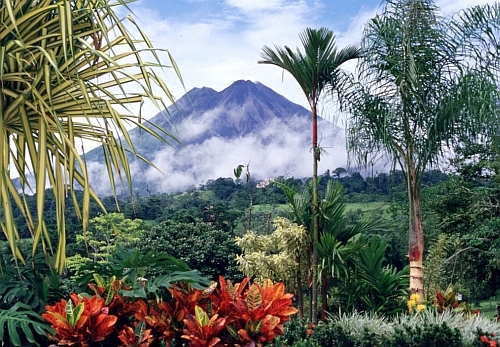 Interjet has dropped the price of their flights from Vancouver to San Jose, Costa Rica down to $375 CAD roundtrip including taxes. 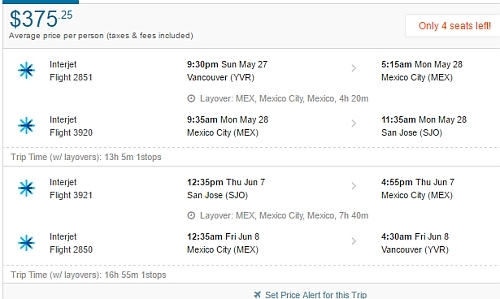 The flights have 1 stop each way, in Mexico City for 4-7 hours. Interjet's lowest prices from Canada to Central and South America include 1 piece of checked luggage. - But the flight has 2 stops each way. Can't find this deal anymore? Prices change as deals sell out. The key is to be among the first to know when an amazing deal is posted. Click here for tips on how to never miss a deal again. Hit Like if you like this deal! Click Share or Send to show your friends on Facebook. 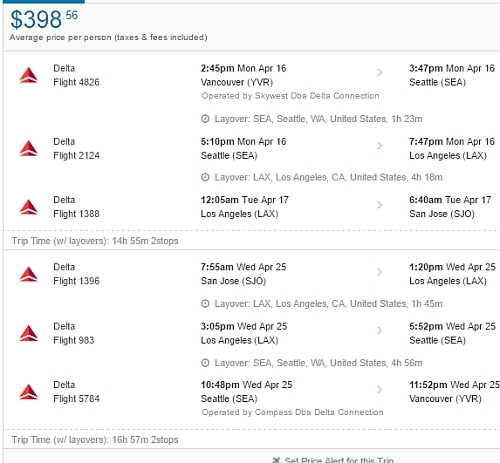 vancouver, yvr, flight deals, san jose, central america, delta, costa rica, sjo and interjet.